Foreign Minister Sushma Swaraj said the kidnapping was "stage-managed" and the video "fake". 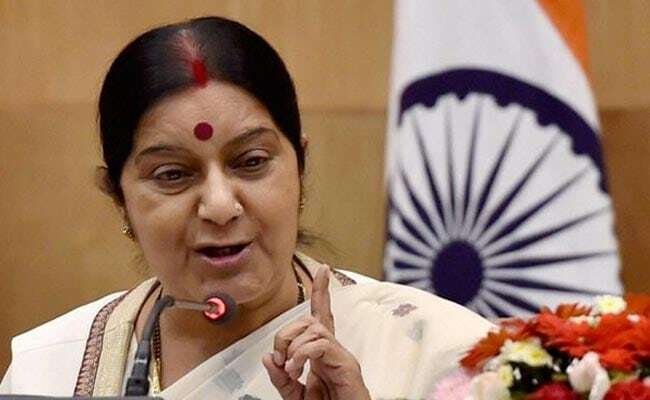 New Delhi: Often saluted for her prompt response on twitter and coming to the aid of Indians in distress abroad, Foreign Minister Sushma Swaraj today discovered that a "kidnapped" man in Serbia who she tried to help had staged his own abduction. Hours after she responded to a call for rescuing an Indian allegedly abducted and tortured in Serbia, she tonight said the kidnapping was "stage-managed" and the video "fake". Ms Swaraj, known to quickly help Indians in distress in foreign countries, intervened after she was approached by a netizen who tweeted to her. Responding to him, she later tweeted "Vinay Mahajan has been found and is in safe custody of Serbian authorities." The video accompanying the tweet showed a shirtless man with his hands tied being beaten up with a baton. "Mr Luther - This is because of the agent who sent him there. This agent deserves exemplary punishment. @ProtectorGenGOI," she said in a series of tweets. She, however, took to twitter late in the night, saying "Rajiv - I have all the facts before me. Your brother was not abducted. Ms Swaraj added that "India in Serbia has intervened, and your brother has been released by Serbian Police. He is returning on 25 March." Reacting to a separate complaint of nearly 500 Indian workers being deprived of salaries in Bahrain, she tweeted,"Indian Embassy in Bahrain is seized of this matter and will help them."